This is one of those comics where I'm sure someone somewhere must've beat me to the idea. I hate dogs, good riddance! He was disobedient anyway. 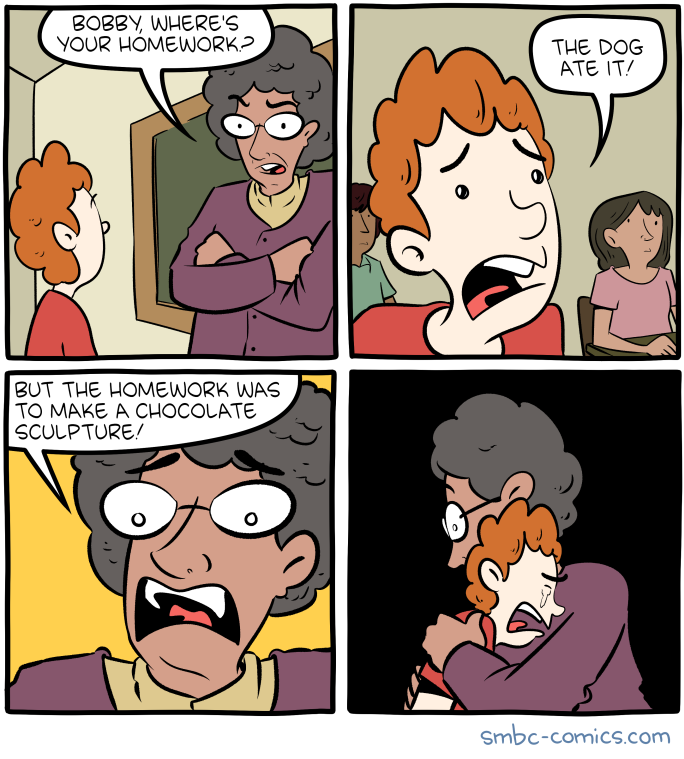 Also, what kind of class has a homework assignment to make a chocolate sculpture? Sounds fun!